The Cheltenham Gold Cup is not only the showcase of the Cheltenham Festival, it is the plinth on the pantheon as far as National Hunt racing is concerned. Only the King George VI Chase, staged on Boxing Day, comes close in terms of prestige. Numerous horses have won both races despite the King George being staged at Kempton Park, a flat track, over three-miles and the Gold Cup being two and a half furlongs longer, featuring a stamina sapping uphill finish. But no horse has completed this double since Long Run in 2011. If you are a beginner to Cheltenham Festival betting then check out our Cheltenham ‘How-To’ Guide here. Might Bite landed this season’s King George and heads the betting for the Gold Cup. But does he have the stamina and mental attitude to win the biggest race of them all? Victory in last season’s RSA Novice Chase over three miles at the Festival certainly looks good on his CV but let us not forget Might Bite was a dozen lengths clear approaching two fences from home in that race and ultimately won by a nose after trying to squander victory. He has yet to race beyond three miles and one furlong and he idled noticeably in the King George. So, while the talent is clearly there, there are enough question marks against him for us to pass him by. We are also going to swerve the defending champion, Sizing John, who ran a stinker when last seen in action – December 28th – and now heads straight to the Festival. His stablemate, Our Duke, who landed last year’s Irish Grand National, has had his problems. He struggled to win last time when making jumping errors and is another who comes with a health warning. Road To Respect is another Irish-trained runner who may succumb to poor jumping. A winner at last year’s Cheltenham Festival in a Handicap Chase off of 10st 13lb, he has continued to improve but his liking to jump to the left in his races must stop if he is to have any chance in the Gold Cup. And so we are opting for this season’s Welsh Grand National winner, NATIVE RIVER, who has shown his liking for the Cheltenham racecourse by fishing third in last year’s Cheltenham Gold Cup when aged just seven. 12 months older, lightly raced (just three races since December 2016) and awesomely impressive when landing the Grade 2 Betfair Denman Chase at Newbury in February, Colin Tizzard’s charge will relish any give in the ground. His record on soft going over the chase fences reads six-from-six and his seventh win over the bigger obstacles came on ‘good-to soft’ going. But soft going is not vital, just preferable, for horse which will be partnered by Champion jockey Richard Johnson. His two and three-quarter length defeat in last year’s Gold Cup came on ground described as ‘good’ and it is noteworthy he went off as 7/2 second favourite. 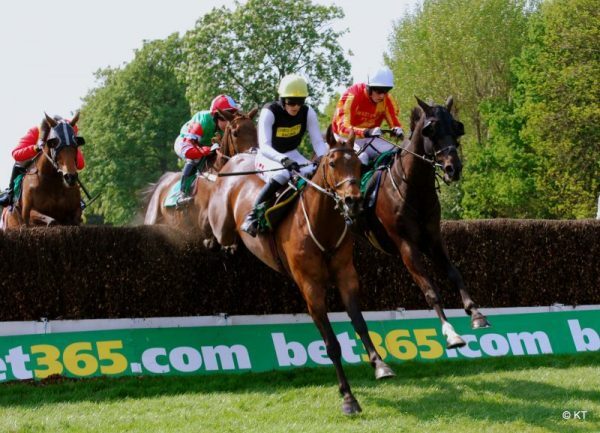 The online bookmakers currently have Native River priced at 6/1 (7.00) which makes him the ideal each-way Cheltenham bet. It is hard to see that price going any bigger but it will certainly contract if the weather forecast speaks in his favour at the start or March.